Did you know that you live in the home of a beast? Many people are unaware that Toronto is safe haven to a tentacled, slippery-slimy, shape-shifting monster called the Kraken. The danger of this Kraken lies in the fact that over the many years it has occupied this city, it has found a way to be entirely invisible to the untrained eye of most people in Toronto while exacting terrifying and sometimes deadly brutality in other places around the world. 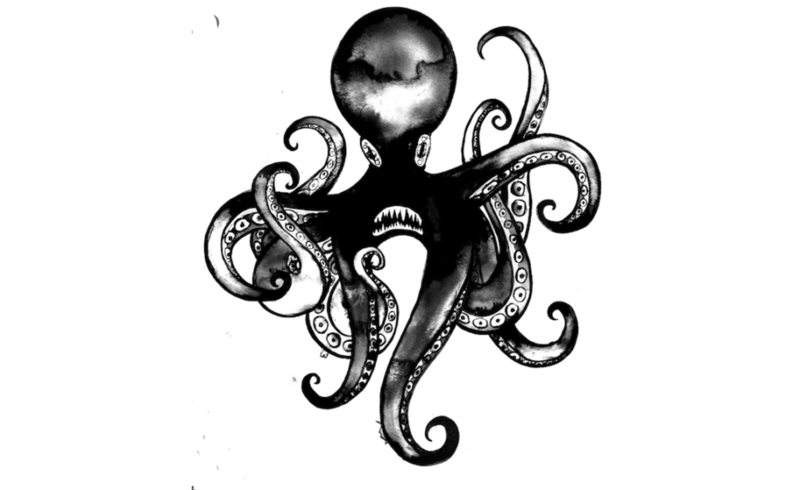 We, here at KrakenWatch, have dedicated ourselves to monitoring the Kraken’s behaviour, migration patterns, and its double-speak way of communicating. In this process, we have come to understand that people in government, in media, in the geosciences, and on Bay Street commonly refer to the Kraken as “the Canadian mining industry”. It’s tricky, it’s violent, and we let it live here. Come to this workshop to learn more: how did the Kraken come to live in Toronto? What is its basic anatomy? What is its special relationship to some of our central public institutions? And what can we do to fight it?